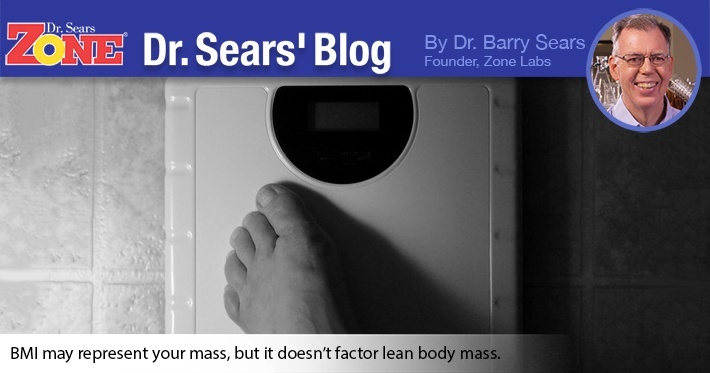 Home > Resources > Dr. Sears' Blog > What Exactly is BMI? Have you ever had one of those experiences with a child when they ask you a question or to define a word that is so common you should easily be able to, but you are left dumbfounded when trying to search for the best way to explain it to them? Welcome to Body Mass Index or BMI. BMI is a frequently used term these days, yet people often don’t understand exactly what it measures. It is a calculation based on a person’s weight and height and believed to be a reliable indicator of body fatness. Based on the results, it places people into various categories, which are then used as a screening tool to determine an individual’s risk for various health conditions (1). Despite being an indicator of body fatness, nowhere in the calculation does it factor in a person’s lean body mass, so caution needs to be exercised when using it as a sole diagnostic criterion. Some people who are active and lean may be disappointed to learn they fall in the overweight category since the equation fails to take into account their muscle mass. The reason why it is so commonly used is because it’s an inexpensive and quick tool to assess the population’s risk of being overweight and obese, and for people to see how their BMI compares to the general population (2). If you are curious to see what your BMI is, visit the CDC Web site. Just remember that despite being a quick tool, it should really be used with other diagnostic criteria as a way to evaluate overall health. Body Mass Index. Available at: http://www.cdc.gov/healthyweight/assessing/bmi/. Accessed: June 8, 2010. About BMI for Adults. Available at: http://www.cdc.gov/healthyweight/assessing/bmi/adult_bmi/index.html#Why. Accessed: June 8, 2010.